Traditional dish cooked with blend of exotic herbs and selected spices. Chicken meatball made aromatic with touch of exotic spices. 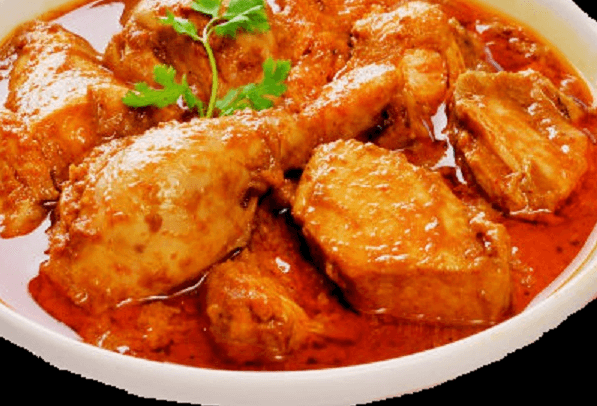 A delectable combination of fresh spinach cooked in traditional, blend of chicken curry. Boneless chicken tandoori barbecued in a clay oven, then cooked in a very special curry sauce with selected herbs & spices. Boneless tandoori chicken barbecued in a clay oven, cooked in a very creamy sauce. Boneless chicken made with onions, tomato & bell pepper. Medium hot lamb or goat cooked with a hint of garlic and ginger over a bed of onions and special spices. A very special traditional boneless beef shank cooked with selected spices.